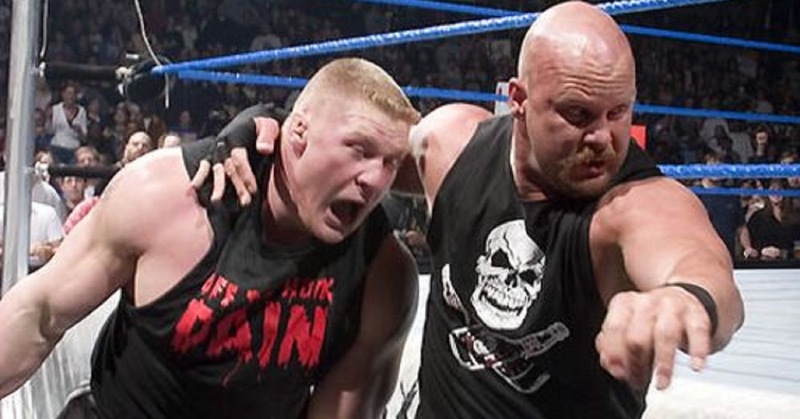 Retrospective: What If Stone Cold Steve Austin Never Left WWE in 2002? The year 2002 will forever be a strange one in WWE history. First, the WWF changed their name to WWE, and the whole "Get The F Out" campaign still stands as a sore spot for the WWE personally. There was Billy and Chuck, Eric Bischoff, and the rise of Smackdown above RAW. 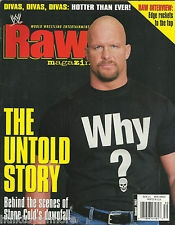 However, the strangest thing about 2002 would have to be the departure of Stone Cold Steve Austin in June 2002. Walking out on the company but not looking back, Austin left the WWE and would not return until February 2003. Austin's departure was a shock initially, but after examining everything, it wasn't as big of a shock anymore. Austin started 2002 as the no. 1 merch seller, with his popularity back on the rise yet again with his "What?" catchphrase. His shirts were plentiful, his excitement was increased and he was more hilarious than he had ever been. However, his booking didn't reflect that. I wanted to do a comparison of how Austin walked out and how CM Punk walked out, and the situations were similar. After all the issues they had with booking and Vince, it seems honestly like their departures mirror each other. Punk, with a ton of merch selling, and his popularity at the highest height, walked away from WWE. Austin, while not at his highest popularity height (that would be 1998), was back in the driver's seat as the no. 1 merch seller and one of the most over, if not the most over guy on the roster. When he decided to walk away, you knew why and understood his reasons, though the way he went about it wasn't necessarily the best. After a mid card match against Scott Hall at Wrestlemania that year, along with losing a useless feud to Undertaker (and missing out on a WWE Title Match with Hulk Hogan), and being saddled with a pointless feud with Ric Flair, Austin was asked to lose to Brock Lesnar on an episode of Raw in a King of the Ring qualifying match. Now, why would the WWE tell Austin to lose a match with no buildup to Brock? Why would they feed Austin to Brock so early? I suspect Triple H wouldn't take a televised loss to Brock with no buildup. I suspect the Rock wouldn't take a loss without buildup and on RAW. Austin was a bigger star than both of those from a wrestling standpoint, so why should Austin take that loss? It seemed as if WWE was slightly insulting Austin with this booking, but make no mistake about it, he wasn't having it. Austin walked out that night and this wasn't the same for RAW. RAW went through changes and the quality of the show declined drastically from there. Today, I look back at what could have happened if Austin never left the WWE. What feuds he could have engaged in, what moments we could have saw. Let's get into it. -Before his departure, he was expected to feud with Eddie. This was at Austin's request, and I think these two could have put on a good show with each other leading into the King of the Ring and subsequently Vengeance as well, with Benoit added in. This would be the feud that would have kept Austin occupied for June and July. -I feel like this feud would have happened likely as Brock became Undisputed Champion and Austin could have been one of his challengers on PPV. Or perhaps at the Rumble, Austin and Brock go at it in a brutal match. Regardless, this would have been a feud that needed to happen. The chemistry might have been off the charts. -I think if Austin was still around in 2002, they would have had a tournament leading into Unforgiven 2002 for the World Heavyweight Championship, and if I'm WWE, I make it Austin vs Triple H for the title at Unforgiven 2002 in the Finals. HHH and Austin would go 24 minutes with Austin getting a clean pin victory and holding the title until next month, when a fatal four way at No Mercy leads to HHH getting the belt. This leads me to the next thing he would end up doing. -As crazy as this sounds, Austin would have been in the first Elimination Chamber. If Austin remained on RAW, he would have likely had the place that Booker T had or maybe Kane. So I could totally see Kane, RVD, Jericho, HBK, HHH, and Austin in the chamber and although I'd keep the outcome the same, I'd let HHH get eliminated second to last and let the final two be HBK and Austin. That would have been an exciting end of the contest and Austin vs HBK would leave us in suspense for which legend wins the belt. 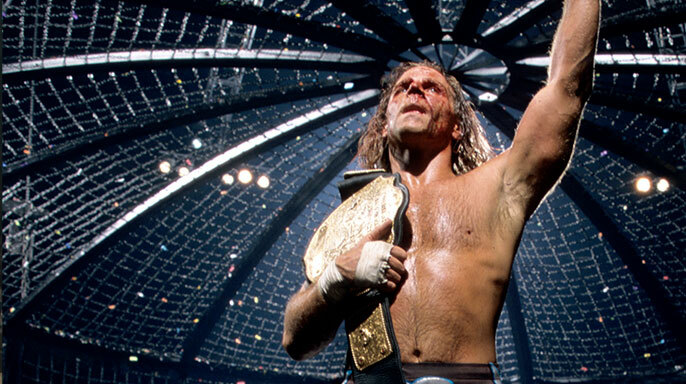 HBK gets a win over Austin in this match and boom, he's champion. 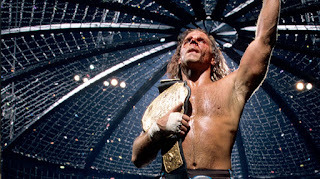 -Unless Austin didn't want to fight HBK again, which we know isn't the case, this would have happened. I'd have loved to see HBK vs Austin occur in this era and I suspect it could have happened for the title at Armageddon, or maybe even on an episode of RAW, since WWE wasted great matches on RAW then too (HBK vs RVD for the title... seriously though). Austin vs HBK in a 25 minute classic would be something great to watch, and HBK of 2002-2003 was getting his flow back in the ring. That would have been great. -No offense to Austin vs Rock 3, but I could have done without that one and the same can be said for Hogan vs Vince. I love both matches, but I'd rather have seen the Rock vs Goldberg and Hogan vs Austin at WM19. 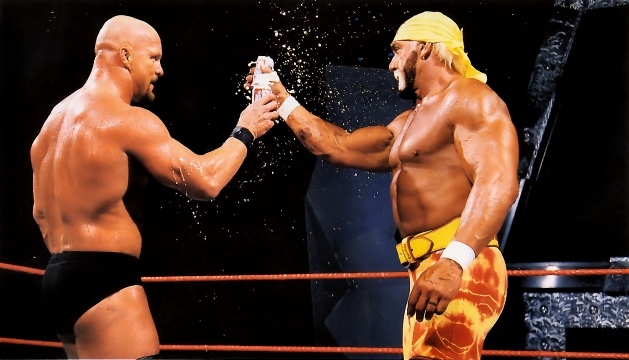 Two of the biggest possible matches at the time, with Austin in his glory and Hogan in the yellow and red. No heel or face, just two legends in front of 60,000 strong. With Austin still in WWE, I'd have Hogan appear at the Rumble and the two have a moment in the ring during the Rumble match and go from there. The possibilities would be endless if Austin never walked away, but the truth is, we will never know. However, it's fun to sit back and ponder what could have been. 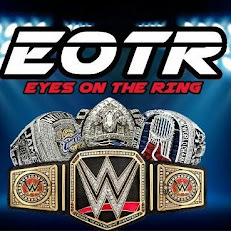 Until next time, keep your eyes on the ring.